In Old Medialand, all it takes for a personal habit -- in this case, exercise -- to go from vice to an overhyped virtue is a change in the party affiliation of the White House occupant. Yesterday, NB's Tim Graham commented on a puff piece about the Obamas' exercise routines by Associated Press groupie -- er, reporter -- Deanna Bellandi, who characterized the couple as "fabulously fit." 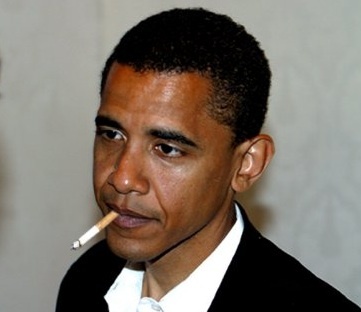 Several NB commenters at Graham's post pointed out that Barack Obama has been smoking cigarettes for years, something Bellandi "somehow" overlooked. Further, Obama has promised to quit, and it's not at all clear that he has. More to the point, during the Bush presidency, the press treated the current White House occupant's exercise routine quite differently, characterizing it as "creepy," an "obsession," and an "indulgence," even in supposedly objective wire service reports. The president was described by his doctors in his annual physical as being in "superior" condition for a man his age. He takes pride in his six-day-a-week workout regimen and last week he showcased the statistics on his heart rate monitor for a group of reporters who rode with him. The monitor showed he burned 1,493 calories in a two-hour ride, also 17 miles. Bush says exercise helps sharpen his thinking. But some of his critics view his exercise obsession as an indulgence that takes time away from other priorities. Among them is Cindy Sheehan, the Vacaville, California, mother of a soldier killed in Iraq, who until late last week was camped out down the road from Bush's ranch seeking a meeting with him to discuss her opposition to the war. Sheehan, who left her vigil on Thursday to tend to her sick mother, has said she believes Bush should take fewer bike rides to have more time to focus on the "the nation's work." ..... Bush has an obsession with exercise that borders on the creepy. Given the importance of his job, it is astonishing how much time Bush has to exercise. There’s no denying that the results are impressive. Bush can bench press 185 pounds five times, and, before a recent knee injury, he ran three miles at a 6-minute, 45-second pace. That’s better than I could manage when I played two sports in high school. And I wasn’t holding the most powerful office on Earth. Which is sort of my point: Does the leader of the free world need to attain that level of physical achievement? Bush not only thinks so, he thinks it goes for the rest of us as well. In 2002, he initiated a national fitness campaign. Chait wrote as if Bush was the first president to have "a national fitness campaign," when in fact the President's Council on Youth Fitness has been around since the 1950s, and was renamed the President's Council on Physical Fitness in the 1960s. This must mean that Ike and Jack Kennedy were obsessed too. The historical record shows that JFK indeed exhibited obsessive behavior -- but in a different physical arena.